The Military Police Jack Reacher is sent to Mississippi where a young woman has been murdered. The Army hopes that his undercover investigation will find evidence proving that the murder was not committed by anyone from the military base in town. The town’s Sheriff, Elizabeth Deveraux, used to be in the Marine Corps and she quickly figures out what he is doing there. They team up and try to find the killer. Their answer is not the same as the Army’s. Who is right? 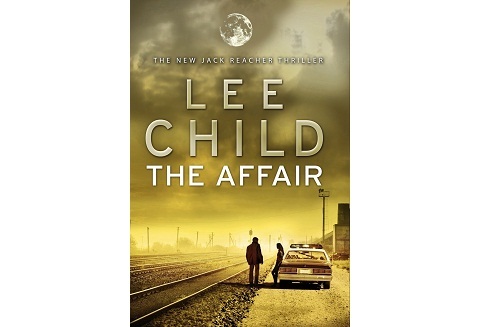 The Affair is the 16th novel in the series about Jack Reacher, but it takes place before most of the other ones. After reading this novel I want to see the movie Jack Reacher that was released at the end of last year to see how Tom Cruise interpreted the character. The novel was ok and it was no problem that I had not read any of the other novels in the series. However, I made the mistake of reading a translated version (Swedish) and it felt a bit “Swenglish”. Lesson learned, try to read books in the original language when possible.